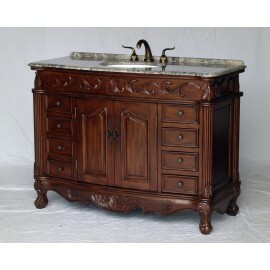 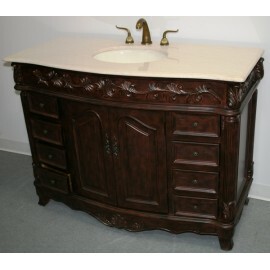 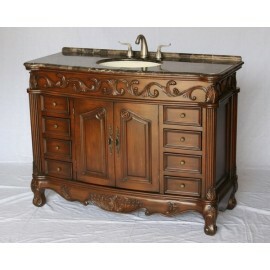 Single sink vanity with beige color stone coutertop and walnut color cabinet with double doors and e.. 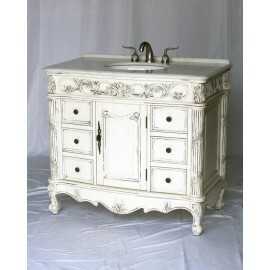 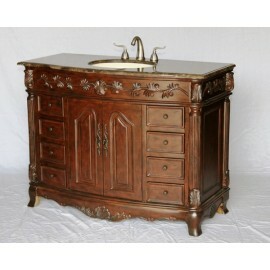 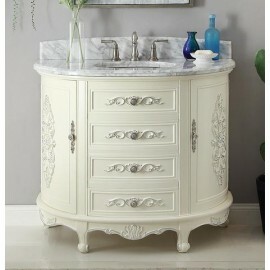 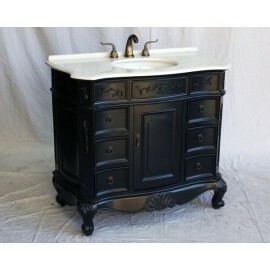 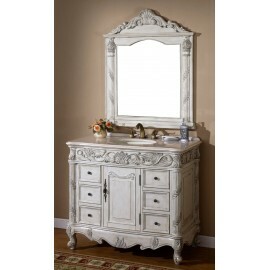 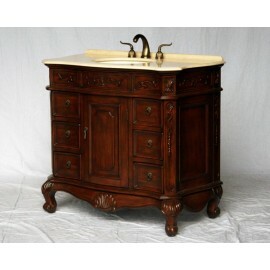 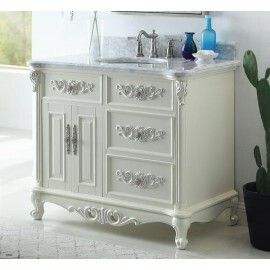 Antique style single sink vanity in distressed finish with imperial white color stone countertop, ov..
Vanity 7640-C Antique White w/Mirror 40"
Antique style vanity set includes single sink vanity and mirror in distressed finish. 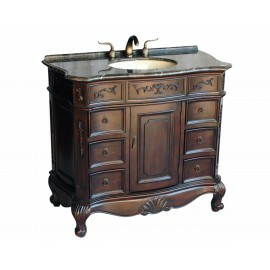 Antique style ..
A delicate and beautiful piece that gives an airy feel to any bathroom, the Verondia single sink bat..
Verondia 42" Linen A delicate and beautiful piece that gives an airy feel to any bathroom, the Vero..